The State Bureau of Investigation (SBI). Created in 1925 by the General Assembly, the State Bureau of Identification was attached to the prison department, with the deputy warden designated as director. A fingerprint laboratory and offices of the bureau were located at the prison, and the bureau's budget would come from appropriations made to the prison. The bureau's responsibilities included receiving and collecting police information; locating, identifying, and keeping criminal records in the state and from other states; compiling and publishing such information and making it available to state and local law enforcement officials; conducting surveys and studies to determine the source of criminal conspiracies; and receiving the fingerprints of every felon from chiefs of police and sheriffs throughout the state. In 1937 the legislature established the State Bureau of Identification and Investigation (SBII) and placed it under the direct supervision and control of the governor. To the responsibilities of the State Bureau of Identification were added the investigation of mob violence and election fraud and fraud involving social security, and, when ordered by the governor, assistance to local law enforcement. In addition, the SBII would maintain accurate statistics on crime and criminals in the state and receive monthly updates from the courts on all felony convictions. Reports on crime statistics, previously sent to the attorney general, would now go directly to the bureau, although the attorney general maintained the right to inspect and utilize them. The General Assembly also provided for the creation of a modern crime laboratory with professional staff. 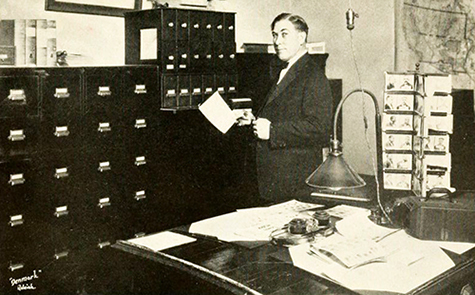 When the legislature transferred the duties, responsibilities, materials, and funds of the SBII to a newly created Department of Justice in 1939, a new State Bureau of Investigation was organized within the department. Except for those duties pertaining to crime statistics, which were to be performed by the department's Division of Crime and Criminal Statistics, all SBII responsibilities would be assumed by the new bureau. To protect sources, evidence, and other information, the General Assembly of 1947 directed that SBI records on criminals and criminal activity could be made public only by court order or by request of district solicitors involved in criminal investigations. During the 1950s and 1960s, a number of laws affecting the SBI were enacted. In 1961, for example, the bureau was authorized to license private detectives in the state, and in 1965, to investigate arson and damage to, theft of, or misuse of state-owned property. Under the Executive Organization Act of 1971, the SBI became a division of the re-created Department of Justice. Legislation passed in 1987, 1989, and 1991 gave the SBI additional responsibilities, including background checks of appointees awaiting confirmation by the General Assembly, administration of the department's Police Information Network, and the immediate investigation of suspected child abuse. The modern SBI is divided into three major areas of operation: Field Investigation, the Crime Laboratory, and the Division of Criminal Information. The latter brought the state's law enforcement community into the computer age through the great amount of up-to-date information it has collected and stored, such as driver's licenses, motor vehicle registrations, wanted and missing persons, stolen property, warrants, stolen vehicles, firearms registration, drug trafficking, and parole and probation histories. Additional Resources: (accessed November 30, 2012). "An Act to Create a State Bureau of Identification and Necessary Machinery Therefor." North Carolina General Assembly. Public laws and resolutions passed by the General Assembly at its session of 1925. Raleigh [N.C.]: Mitchell Print. Co. 1925. http://digital.ncdcr.gov/u?/p249901coll22,237403 (accessed November 31, 2012). "SBI wins unanimous reaccreditation" (press release). North Carolina State Bureau of Investigation. March 29, 2012. http://www.ncdoj.gov/News-and-Alerts/News-Releases-and-Advisories/Press-Releases/SBI-wins-unanimous-reaccreditation.aspx (accessed November 31, 2012). "Agents' Secrets" The News and Observer. 2011. http://www.newsobserver.com/agents/ (accessed November 31, 2012). Government & Heritage Library, State Library of NC. "Biennial report of the State's Prison, page 86 (1925)." September 8, 2011. Available from: Flickr Commons, http://www.flickr.com/photos/statelibrarync/6127014454/ (accessed November 30, 2012). Thank you for pointing this out. We have made the change.